Disneyland Paris has just released official information on the upcoming “Disneyland Paris Half Marathon Weekend 2016”! 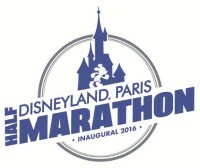 Marne la Vallée, France, June 25, 2015 - After first announcement done in February, Disneyland Paris proudly presents the details of its Inaugural Half Marathon Weekend event scheduled to take place on September 23-25, 2016. It's a storybook run straight out of a fairy tale through Disneyland Paris and the countryside villages that surround the Disney Parks. 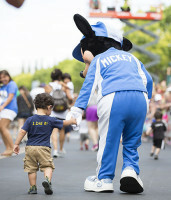 And that's just the start of excitement: amazing courses, special events, family and kids' races, a fun-filled finish line celebration and everyone's beloved Disney characters and animations to cheer along the courses and create unforgettable weekend memories. Let's have a look at the program! One-Stop headquarters for everyone's race weekend needs! Board Game Press Releases Ride Through Disney's Enchanted Christmas Welcome to Spring Disneyland Park Merchandise Sam McKim Rare Marvel Mickey and the Magician Hotel Cheyenne Pixar Sheriff Woody WDS Hotels Collectible Christmas Walt Disney Imagineering Halloween Standard Room Inauguration Souvenir Mickey's Halloween Celebration Fan Events Shows runDisney Frozen Summer Fun Liveblog Ratatouille: The Adventure Ratatouille – L’Aventure Totalement Toquée de Rémy Hotel Renovation Last Call to Endor Discoveryland Characters Anna and Elsa Star Tours Star Wars Room TV Vintage Seasons Bistrot Chez Rémy Preview Redesign Goofy’s Garden Party Frozen Newport Bay Club Interview Disney's Halloween Festival Maps Walt Disney Studios Park Video Tour Place de Rémy Ratatouille Minnie’s Little Spring Train Press Events Mickey's Magical Party Disney's Fairytale Christmas Video Fantasyland Toy Story Toon Studio Space Mountain Disney's Christmas Parade it's a small world Parade WDSP Bob Iger Disney Dreams!